Charming Colonial In A Desirable Neighborhood! 2 bedrooms, 1.5 baths. Living room offers plenty of natural light and a cozy electric fireplace. Original hardwood floors run throughout most of the main floor and under carpeting in both the spacious Master bedroom and second bedroom. All kitchen and laundry appliances remain. Partially finished basement offers an additional family room and a half bath. Fenced in back yard with a 22 ft x 14 ft back deck off the Dining room that is absolutely perfect for entertaining! Two car, detached garage and a built-in basketball hoop. SELLER IS IN THE PROCESS OF REPLACING THE CARPETING IN BOTH BEDROOMS. Just pack your bags and move right in! 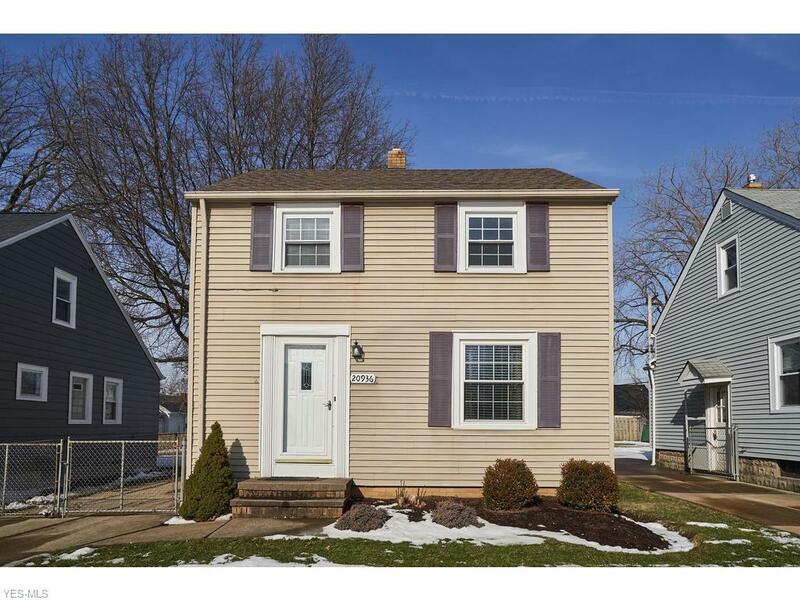 This lovely home is conveniently located near shopping, restaurants, freeway access, Bohlken and Linden Parks, Rocky River Reservation as well as the state-of-the-art Gemini Center, Community and Recreation Complex. Seller is offering a one-year Americaâs Preferred Home Warranty for extra assurance. Pre-Approved Buyers only. Terrific opportunity!